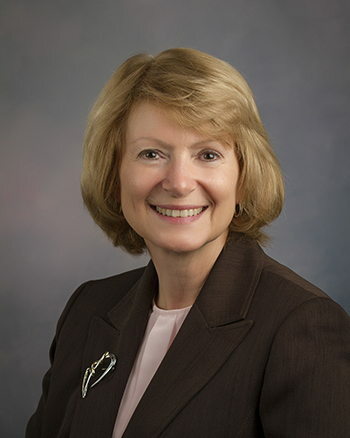 Lisa A. Hatcher, MD, MBA (Columbia City), a family medicine physician and IAFP member, has been elected president-elect of the Indiana State Medical Association (ISMA) by her colleagues. A member of Parkview Physicians Group in Columbia City, Dr. Hatcher was sworn in Sunday, Sept. 30, at the 169th Annual ISMA Convention in Indianapolis. Dr. Hatcher earned her medical degree from the Indiana University School of Medicine and a Master of Business Administration from Indiana Wesleyan University. She holds a Bachelor of Science degree from Manchester University in North Manchester, Ind., and a Master of Science from St. Francis University in Fort Wayne. Before her election to the ISMA presidency, Dr. Hatcher chaired the ISMA Board of Trustees and the ISMA Future Directions Task Force. She has served on many ISMA commissions and committees, including the Executive Committee, Family Violence Committee, Women in Medicine Committee and Commission on Constitution and Bylaws. She also served as health officer for Whitley County. ISMA is the largest physician organization in Indiana and is dedicated to promoting the well-being of doctors and their patients.